Wondering how to motivate your students? We’ve devised five ways that you can energize riders in your class and make sure they see the results they crave! 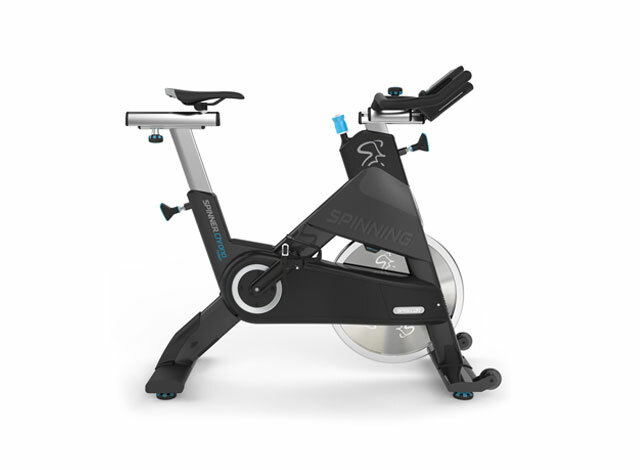 Although Spinning® instructors lead their indoor cycling sessions, the students are the ones in charge of class. 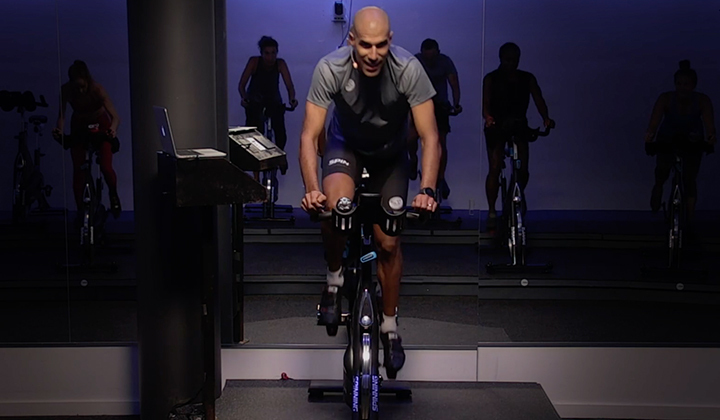 While instructors guide them through the movements and intensities that will help them see true fitness results, the students define their effort level throughout the ride. Only they control the amount of resistance on the flywheel, and depending on the day, they may decide to push harder up a hill or pull back during an arduous sprint. Simply put, the ride really belongs to the riders. But where instructors can really set themselves apart as the fitness leaders is through motivation. While your guidance and coaching are essential to a great class experience, your motivating words can transform a good session into a great one! Ask any new student, and they will likely tell you that their lack of a fitness regimen stems from a lack of motivation. So how can we help our students to stay driven and leave class feeling like champions? Motivation results from the interaction of both conscious and unconscious factors, like the intensity of a desire or need, or the incentive of achieving a certain goal. It can also come from the expectations of the individual and of his or her peers. As an instructor, it’s your job to galvanize your students in a safe and effective manner. Before class, ask your regular and first-time riders what their short- and long-term goals are. This will help guide you in building your profiles to ensure that students are seeing those results. There are also many different types of rewards you can give for hitting those goals. Motivational factors like setting personal goals or offering tantalizing incentives can be broken down into two categories, extrinsic and intrinsic motivation1. Let’s dig a little deeper into these two kinds of motivation. Extrinsic motivation emerges from either earning an external reward or avoiding punishment. In fitness, this generally means the reward of a leaner body or a healthier frame. It can also mean the aversion of flabbier skin or a less-than-fit physique. The issue with this type of motivation is that it compels folks to engage a behavior not because they enjoy it, but because they get something in return. Once that external motivator disappears or never materializes, the exerciser is no longer incentivized to complete the activity. On the other hand, intrinsic motivation occurs because the exerciser finds the activity personally rewarding; the motivation comes from within instead of from outside. Essentially, the behavior itself is its own reward. As a result, we encourage Spinning® instructors to use intrinsic motivational cues when leading classes. 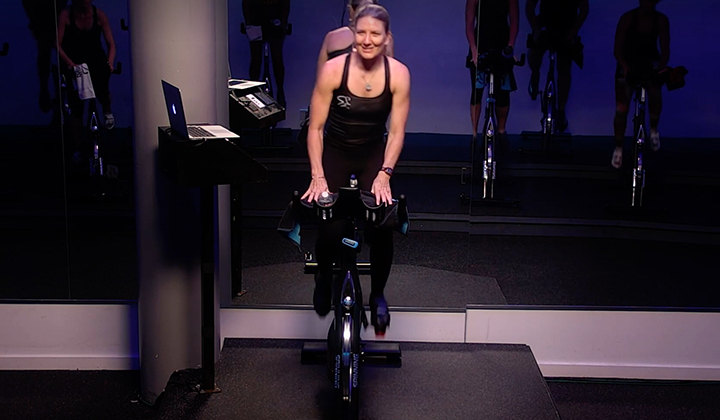 This can be achieved by providing positive feedback, acknowledging accomplishments, reminding riders of the many benefits of Spinning®, and of course, creating incredibly fun classes! Another way to bolster intrinsic motivation in our instructor is by looking at our students’ needs. We have defined them as “Five Areas of Motivation,” and they are based on Abraham Maslow’s hierarchy of needs, which he breaks down into five levels2. Let’s explore these five areas in detail. Of these five motivators, the most common that you will find among students is appearance. Many people begin an exercise program because they want to change the way they look. However, this is a form of extrinsic motivation, which is a flimsier foundation on which to set our fitness routines. When they find that maintaining a certain physique requires constant effort, or if they do not see results immediately, they may lose the motivation to continue the exercise. 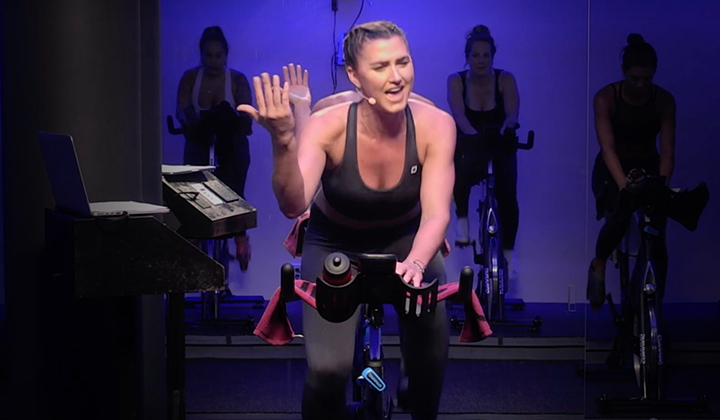 As Spinning® instructors, it’s imperative to help our students understand all of these five areas and to encourage them to focus more on how they feel, rather than on how they look. Explaining all five areas will help them to narrow the focus of their fitness goals and concentrate on the many other benefits of exercise, including living a healthier lifestyle, meeting new people, learning new skills, and – most importantly – having fun! If our students maintain their attention on the other motivators in class, they are more likely to continue with an exercise regime even if they do not see dramatic results. For example, some studies have shown that exercising with a friend or family member will help students adhere to an exercise program3. Not only will they help keep fellow exercisers accountable, they also make classes more enjoyable. If you set a specific exercise schedule, your riders can anticipate upcoming workouts and look forward to their fitness gains ahead. The Spinning® program offers a ton of education related to periodization or breaking down the training calendar to different phases. In fact, your motivating tactics can start at the very beginning of class. Introducing yourself to new students, learning their names, and asking about their goals will demonstrate how much you care and motivate them to come back again. Motivation is the key to success in any endeavor, so we need to educate our students in every aspect of the Spinning® program to inspire them to continue class, improve their overall fitness level, achieve personal goals, and hopefully influence others. Test your knowledge of these motivational techniques: Take the quiz and earn one CEC toward your recertification! What motivational cues do you use to inspire new students in class? Share them in the comments below or on the Official Spinning® Facebook page! This article was contributed by Lisa Hamlin – Director of International Education Programs, Mad Dogg Athletics Inc.